War and Peace and Anna Karenina are widely recognised as two of the greatest novels ever written. Their author, Leo Tolstoy, has been honoured as the father of the modern war story; as an innovator in psychological prose and forerunner of stream of consciousness; and as a genius at using fiction to reveal the mysteries of love and death. At the time of his death in 1910, Tolstoy was known the world over as both a great writer and as a mercilesscritic of institutions that perpetrated, bred, or tolerated injustice and violence in any form. 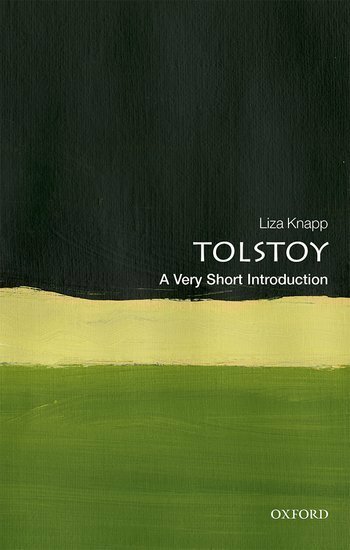 Yet among literary critics and rival writers, it has become a commonplace to disparage Tolstoy's <"thought>" while praising his <"art.>" In this Very Short Intorduction Liza Knapp explores the heart of Tolstoy's work. Focussing on his masterpieces of fiction which have stood the test of time, she analyses his works of non-fiction alongside them, and sketches out the core themes in Tolstoy's art and thought, and the interplay between them. 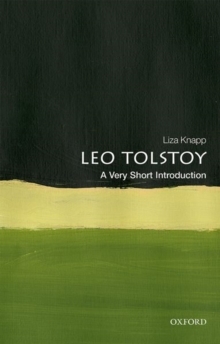 Tracing the continuing influenceof Tolstoy's work on modern literature, Knapp highlights those aspects of his writings that remain relevant today. ABOUT THE SERIES: The Very Short Introductions series from Oxford University Press contains hundreds of titles in almost every subject area. These pocket-sized books are the perfect way to get ahead in a new subject quickly. Our expert authors combine facts, analysis, perspective, new ideas, and enthusiasm to make interesting and challenging topics highly readable.